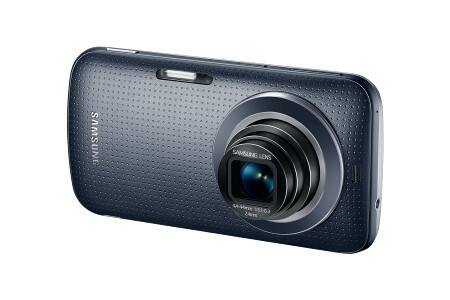 Galaxy K Zoom released on July 2014 and became popular among photographers because of the amazing picture quality. The 20.7 MP camera can take 5248 х 3936 pixel resolution pictures with auto / manual focus. 10x optical zoom (24-240mm), optical image stabilization, Xenon & LED flash captures more vivid and detailed pictures. It also features BSI (Back Side Illuminated) CMOS Sensor, geo-tagging, touch focus, face/smile detection, HDR, panorama. With the OIS (Optical Image Stabilization) take great quality pictures at low light and reduces blur. You can record 1080p Full HD videos at 60 fps (frame per second). There is a 2 MP front camera also. If you are looking forward for some selfie shots, don’t use the front camera. 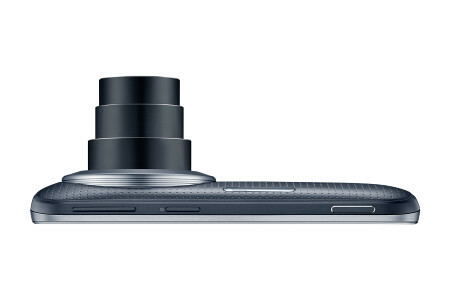 Use Selfie Alarm from Samsung Camera app to use the back camera to take selfies like wasn’t possible before. Point the back camera to your face. It will auto detect your face and will take 3 pictures. Choose the one you like most. Along with the camera it has great technical specs too. Galaxy K Zoom comes with a 4.8″ 720p HD Super AMOLED capacitive touchscreen display with 720×1280 resolution and 306 ppi density. K Zoom running on Exynos 5260 Hexa-core processor. Which features Quad-core 1.3 GHz Cortex A7 & dual-core 1.7 GHz Cortex A15. It also has a 2 GB RAM and 8 GB internal storage with a microSD slot supports upto 64 GB of extra storage. Dual band Wi-Fi, NFC, GPS, Bluetooth 4.0 is on board in the phone. Available in 3 different colors Charcoal Black, Electric Blue & Shimmery White. The dimension of Galaxy K Zoom is 137.5 x 70.8 x 16.6 mm (5.41 x 2.79 x 0.65 in) and weights 200g. There is a 2430 mAh battery packed inside. The camera smartphone is running on Android 4.4.2 KitKat. The average Samsung Galaxy K Zoom price in the UK is £400. Samsung is selling at this price in their own website. Though, you can get it for around £350 from Amazon. But the cheapest price at the moment is £320 from Samsung showroom (not available online) in Westfield, Stratford.